The Brothers and Sisters of the Rosy Cross extend their warmest greetings to you. If you are a visitor searching for spiritual truth, or someone whose life is haunted by a lack of meaning, or simply seeking the fulfillment of a life lived with purpose, we want to thank you for your interest in The Brotherhood of the Rosy Cross. It is our sincere hope that you may find in the Brotherhood all that you have been searching for and that it may lead you to enlightenment, happiness, prosperity and peace. The Brotherhood of the Rosy Cross? The Brotherhood of the Rosy Cross (Brothers and Sisters of the Rosy Cross), also known as the Knights of the Rosy Cross or the Rosie Crucians (Rosicrucians), is an age-old society of hermetic knowledge, alchemical, mystical, theosophical, religious, and spiritual truth. Its activities include the study of metaphysics, the hidden forces of nature, and extending the limits of human potential; the exploration of the paranormal; the guardianship of ancient mysteries; and the practical application of esoteric knowledge towards helping others as well as improving one's own state in life. Through this secret and liberating wisdom, using methods kept secret for centuries, our common goal is the Summum Bonum, the greatest freedom, prosperity, love and happiness that man or woman can know in this life. Enshrouded in mystery and legend, with roots older than Egypt, the secret fraternity of the Rosicrucian Brotherhood has continued to exist down through the centuries, passing on its age-old knowledge and hidden mysteries to seekers of truth around the globe. 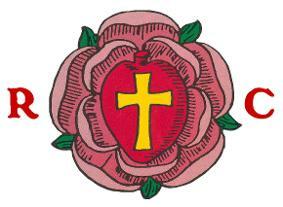 The Brotherhood of the Rosy Cross carries on that tradition today. The Brotherhood of the Rosy Cross is not a public society that one joins; it is an exclusive fraternity that one is admitted to. We invite you to read our literature. If you find yourself in agreement with what we have to say and desire to join us in fraternal friendship as a Brother or Sister of the Brotherhood of the Rosy Cross, please feel free to contact us via email.